3)	Redemption Gift Voucher (RGV) can be redeemed only on the category of merchandise mentioned on it. For eg. Redemption Gift Voucher (RGV) for T shirt will be valid only on purchase of T shirt. 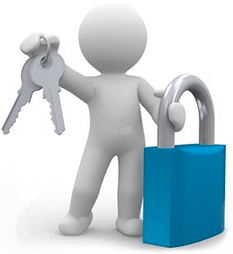 12)	Exceptions list – the offer is not valid on Leggings, Shorts, Tracks, Nightwear, Lingerie, Mens Accessories, Jewellery, Sunglasses, Beauty and Home care, Ladies Footwear (Except for sports footwear). On Public demand, BRAND FACTORY’S unbranded to branded festival has been extended till 5th June in Hyderabad/ Secunderabad and till 6th June for rest of the country. Now exchange your old merchandise, get upto 50% discount + Exchange Gift Voucher. T & C apply. Based on conditions it appears to purely joomla offer. Got to give it to marketing team to come up with such terms and conditions. They should join ruling political party to make the best of their skills. As they will give Gift Vouchers for the old clothes, will there be any terms for availing those gift vouchers? Guys.. I availed this today morning! It’s simple & it is actually what they say! Worth it! I shopped arnd 6K! Is it avbl at hyd brand factory store..
do they accept flipflops/Sandals ? How to upload pic in dd. Is it possible to redeem both rgv and hotstar code on same bill? Amazing sale for good products at insane discounts..
On popular demand, we are extending this promotion in Hyderabad till Tuesday, 5th June and in all other cities till Wednesday, 6th June. 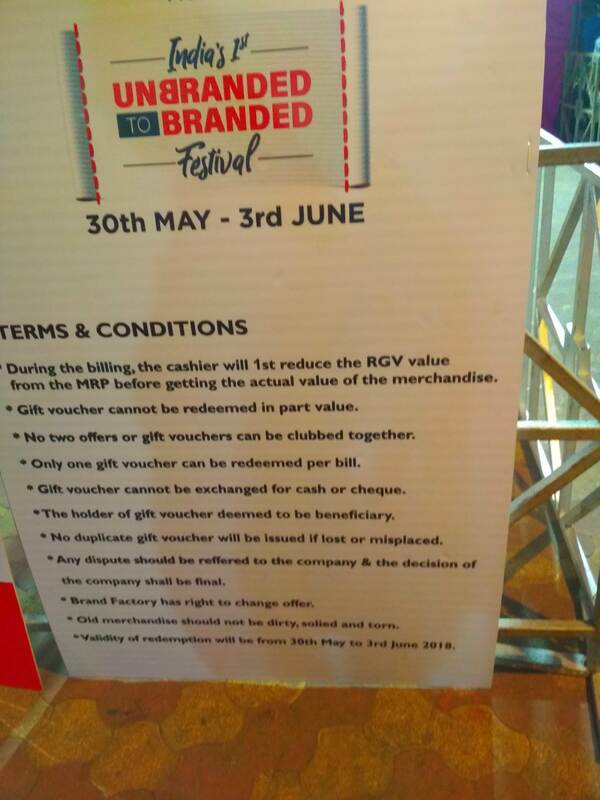 Why would they extend if it’s a hit..
On Public demand, BRAND FACTORY’S unbranded to branded festival has been extended till 5th June in Hyderabad/ Secunderabad and till 6th June for rest of the country. Now exchange your old merchandise, get upto 50% discount + Exchange Gift Voucher. T & C apply. They didn’t meet the target in Hyderabad/secunderabad so extended..